A century ago, a war within a war was fought in the Middle East that had repercussions felt even today. In the midst of World War I, as Britain and France battled Germany and its ally the Ottoman Empire, an uprising broke out among the region’s Arabs. The Arab Revolt of 1916 was in part spurred by British involvement, especially that of a renowned intelligence officer by the name of T. E. Lawrence. Better known as “Lawrence of Arabia,” he inspired and helped to arm factions of Arabs in lands then ruled by the Ottoman sultan. This intra-Islamic rift contributed to the Allied victory on the eastern front, and brought the Arabs to the verge of political independence. The uprising began in the Islamic holy city of Mecca on June 10, 1916, when Sharif Hussein bin Ali, a descendant of Muhammad, fired a shot from his palace window. The Arab rebels, though drawn primarily from Bedouin tribesmen, some of whom rode camels, engaged in fairly modern military operations. They combined air, land, and sea forces and struck at communication and supply lines, often with improvised explosives—guided by Lawrence’s munitions expertise. He also helped turn the Bedouins’ traditional hit-and-run tactics into effective guerrilla warfare. The Arab Revolt was played out amid clashing British and French colonial interests in the Middle East. In the 1920s, with the revolt a success and the Ottomans defeated, Britain and France essentially carved up the region south of Turkey and established “states”—Iraq, Kuwait, Lebanon, Syria, Transjordan—and imposed “artificial” borders that remain essentially unchanged, and problematic, to this day. One secret treaty, the Sykes-Picot Agreement, fostered Arab mistrust toward the British and French and betrayed their hopes for independence. The conflicts within both Iraq and Syria in the twenty-first century have taken place in areas once fought over by the Arabs and Ottoman Turks. The Persian Gulf War of 1990–91 had roots in the territorial lines drawn in the post–World War I “scramble” for the Middle East. The largely unintended consequences of colonial intervention following the Arab Revolt led to Arab cynicism toward the European powers and has been an underlying factor in the decades-long history of instability in the region. An essay by James Barr, the author of A Line in the Sand: Britain, France and the Struggle That Shaped the Middle East. An earlier, compassion essay by James Barr. This excellent video, originally created in 2002, aired on the History Channel in 2005. A thorough account of the Arab Revolt. 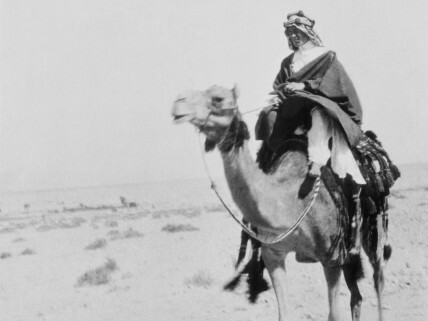 A handful of brief comments by eminent historians on the significance of the Arab Revolt.